Okay, I am pretty sure about this one. 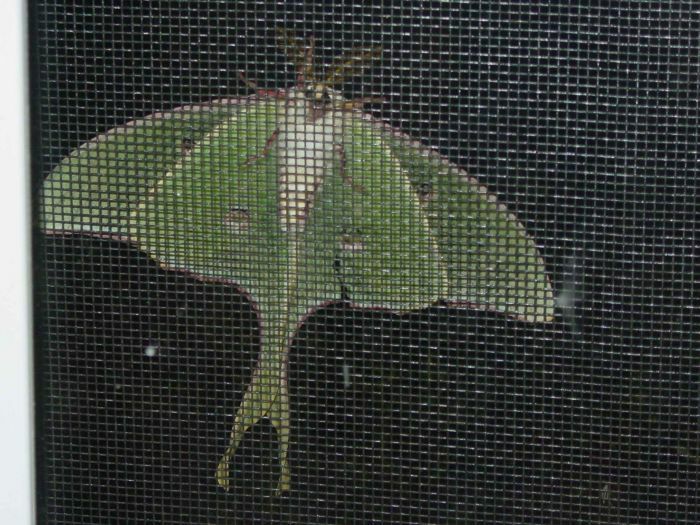 I'd say it's a luna moth (Actias luna). This moth was huge and has a very striking tail. Its width is about 4 inch. Their caterpillars feed on sweet-gum trees which I have in my yard. Notice the eyespots on the wings. The adult moth has no mouth, does not eat all, and lives only ~1 week. Its sole purpose is to mate.